← In which I triumph over the IT guy. A couple of weeks ago, I realized that I had some Best Buy gift certificates that were about to expire, so I went out to our local store to try to find something to buy with them. 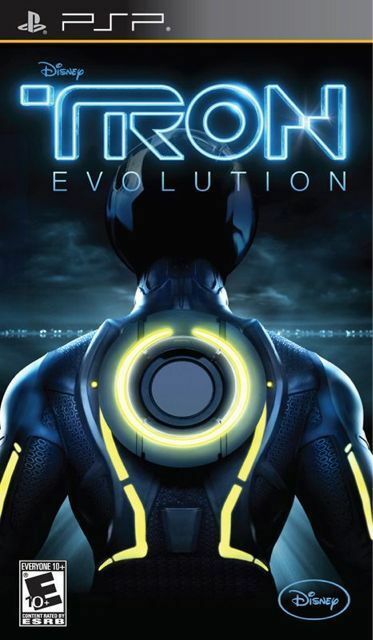 I wound up coming home with the PSP tie-in game for Tron Legacy, because I’d read that it was, well, different from the console games, which were more or less universally panned upon release. It is, for the record, different. Problem is, it’s still not very good. It’s basically a collection of mini-games, where completing a game gives you a number of qualifying points which you can eventually use to unlock another set of mini-games where you can build up qualifying points again and so on, and that’s not necessarily bad – the original TRON arcade game was nothing but a set of four mini-games, after all – but for some reason I just wasn’t having any fun with most of them. I DID like the tanks mini-game, because I’ve been wanting to drive around a Tron tank since roughly 10 minutes into seeing the movie for the first time as a small child, but the rest – lightcycles, disc battles, recognizer sequences – just didn’t grab me. Oh, and if you put your PSP to sleep, then wake it again, it for some reason assumes you’ve changed the memory card, so you have to sit through some more screens while you’re prompted to reselect the card & save file, confirm that it’s OK to overwrite it, blah blah blah. Put simply, a proper portable game should be one you can take out of a pocket for a 15 minute bus ride, make some progress, and sleep your PSP again until your next bus ride, with minimal frustration. This particular game fails that test, and isn’t engrossing enough to make me want to put up with it. On the plus side, it more or less looks like a Tron game should, and the music is pretty good, and they got Bruce Boxleitner to do some voice acting, so they got those bits right. Oh, well. It was pretty cheap, even before the gift certificates, and I got to feel good about myself for actually buying a PSP game instead of downloading it which seems to be more or less the norm these days. Seriously, I was in a Gamestop the other day and one of the employees was telling a new PSP buyer that the first thing she should do with her new system is get custom firmware on it, and this is a store that is theoretically in the business of selling games.